The memorial Mass for Sister Mary Jo Kahl will be celebrated at 1:30 p.m. Tuesday, Aug. 14, in the chapel at The Sarah Community, 12284 DePaul Drive in Bridgeton. Visitation will be at 1 p.m. in the chapel on the campus of SSM DePaul Health Center. A Franciscan Sister of Mary for 63 years, Sister Mary Jo died Aug. 5 at The Sarah Community. She was 79 and was recognized for her work with poor, elderly and mentally ill people. Born in Madison, Wis., she entered the Sisters of St. Mary in 1955. She received the name Sister Mary Ann Grace and professed final vows in 1964. She earned a bachelor’s in dietetics in 1965, a master’s in education in 1974, a bachelor’s in nursing in 1985 and a master’s in nursing in 1989, all through Saint Louis University. She was certified as a gerontological certified nurse specialist in 1991. Sister Mary Jo was director of dietetics at St. Joseph Hospital in St. Charles from 1967-75 and at St. Mary’s Health Center in St. Louis from 1975-82. She was a nurse at the Veteran’s Administration Hospital in St. Louis from 1985-90, then at the Veteran’s Administration Medical Center in Madison. She served in other nursing roles in Madison, including at a clinic for homeless people, before working as a nurse case manager in Milwaukee’s public housing connecting poor, elderly and mentally ill clients with services. She also helped refugee Somali Bantu families find homes in Milwaukee. 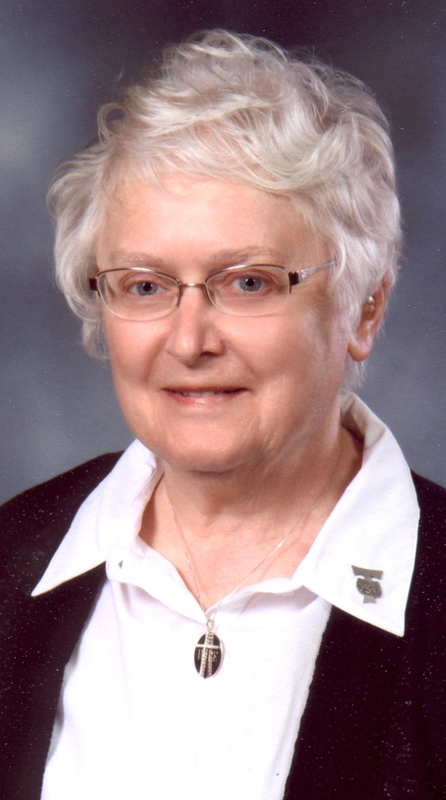 In 2009, Sister Mary Jo was one of 15 Milwaukee women honored by the U.S. Postal Service, which produced stamps with her image on them. In 2012, she received one of the Milwaukee Archbishop’s annual Vatican II Awards for Service to the Church and Society. She was involved with St. Vincent de Paul ministry, prison ministry and the renovation of foreclosed homes in the area. Sister Mary Jo followed up with the assailant who violently carjacked her car to help him recognize the need to take responsibility for his actions and to make life changes. She moved to The Sarah Community in April 2018. Sister Mary Jo donated her body to Saint Louis University School of Medicine. Survivors include a sister, Margaret Skolaski of Madison, and a brother, Ben Kahl, of Redditt, Ontario, Canada.